Rest assured, the Days Inn Medicine Hat hotel knows how to accommodate your needs. We offer 97 beautifully appointed hotel rooms and suites designed with your comfort in mind. 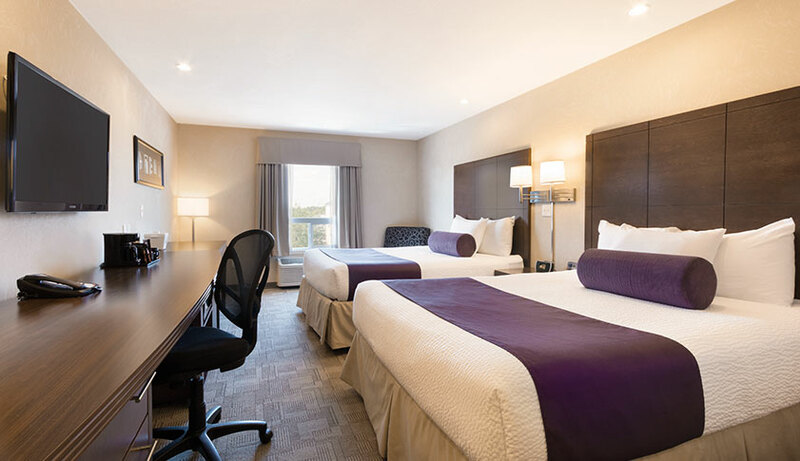 Take full advantage of our hotel features, including complimentary breakfast and our indoor pool with a water slide and whirlpool, and then tuck in for a good night’s sleep. Whether you are here for a single night, a whole month, or even longer, our friendly, helpful staff and our impressive in-room amenities means you will have everything you need during your stay. 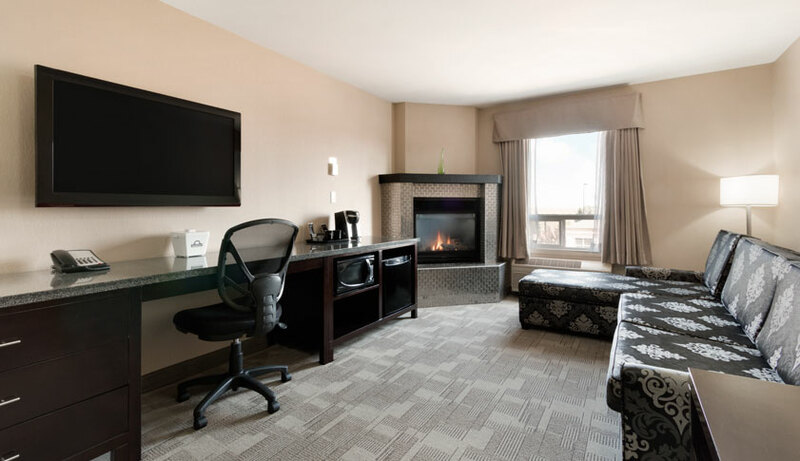 Reserve your room or suite online using our secure reservations system, or contact us directly at 403-580-3297 for assistance. For the best deals, don’t forget to take a peek at our special promotions and packages! Ideal for families and leisure travellers, our bright and spacious Classic Room features two comfortable Queen beds, as well as a mini-fridge and microwave. In-room amenities include a TV, coffee maker, hair dryer, iron and ironing board, free local calls and complimentary wireless Internet access. With secured fourth floor access, these rooms are the preferred choice for our business and corporate guests. 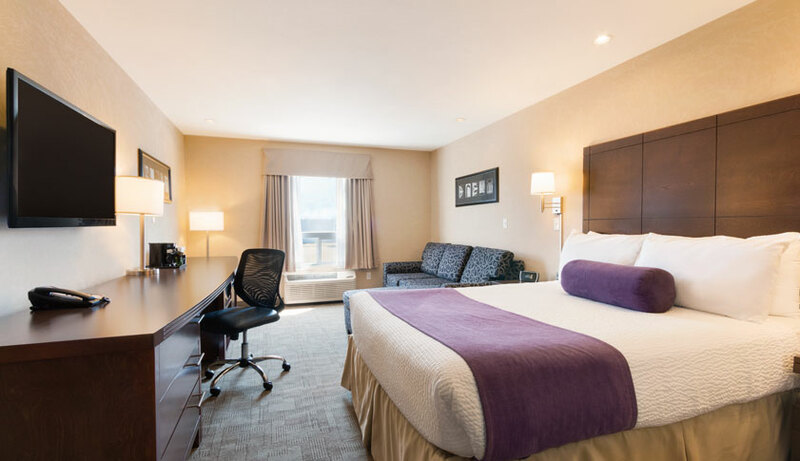 Featuring one King bed, a pull-out couch and a large work desk with an ergonomic chair, these rooms also come with a TV, mini-fridge, microwave, coffee maker, hair dryer, iron and ironing board, free local calls and complimentary wireless Internet access. Perfect for business travellers requiring more space, the Business Class Suite offers one King bed, a large work desk with an ergonomic chair, an optional pull-out couch, and a table with two chairs. 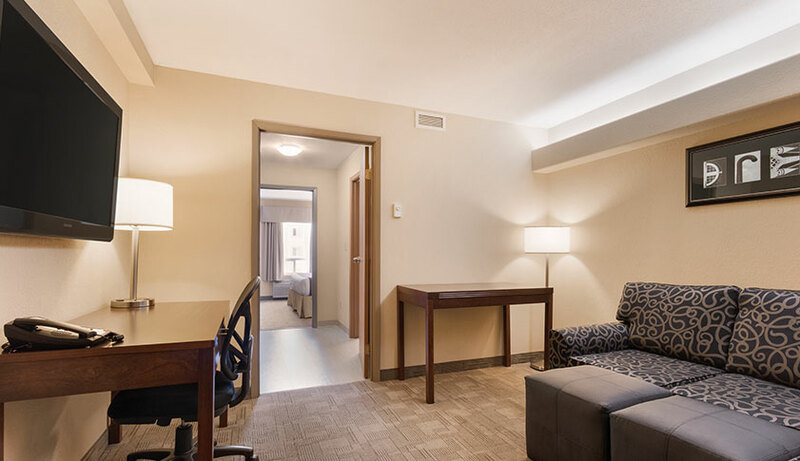 With optional fourth floor secure access, in-room amenities include two TVs and two air conditioners, a mini fridge, microwave, coffee maker, hair dryer, iron and ironing board, free local calls and complimentary wireless Internet access. Ideal for couples on a romantic getaway or weary leisure and business travellers looking forward to relaxing, this spacious suite features a Jacuzzi tub and a semi-private bedroom with one King bed. In-room amenities include a TV, coffee maker, hair dryer, iron and ironing board, free local calls and complimentary wired Internet access. 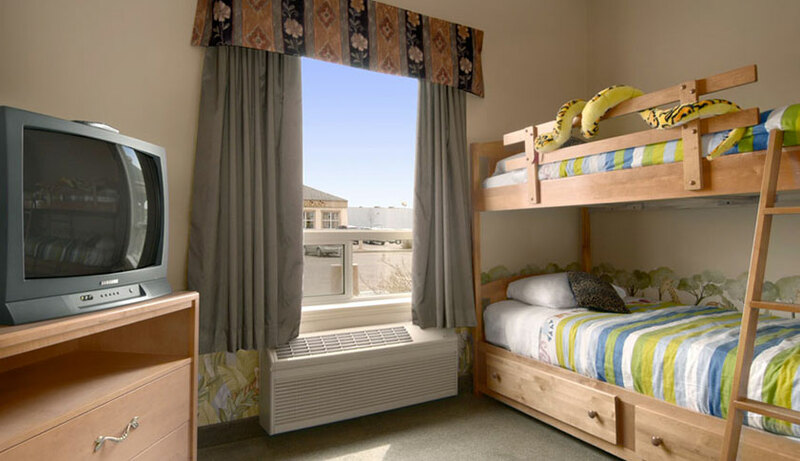 Our most versatile room, the Extended Stay Suite features your choice of one King bed or two Queen beds, as well as a semi-private living room with a pull-out couch and a galley kitchen, which includes a sink, coffee maker, mini-fridge, cutlery and dishes. 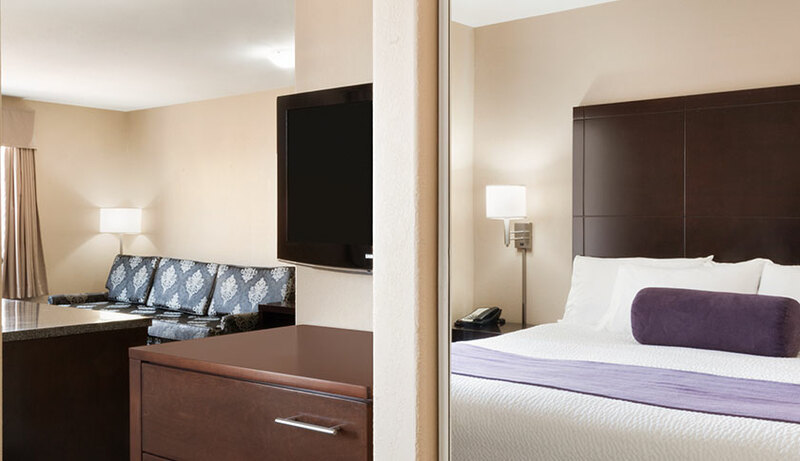 In-suite amenities include two TVs, a hair dryer, iron and ironing board, full length mirror, free local calls and complimentary wired high speed Internet. Parents and kids will love this funky jungle-themed suite, complete with bunk beds and a PlayStation 4 in the separate children’s bedroom and a luxurious King bed in the master bedroom. This suite also features a galley kitchen fully stocked with dishes and cutlery, a table and chairs, two air conditioners, two TVs and a pull-out couch. 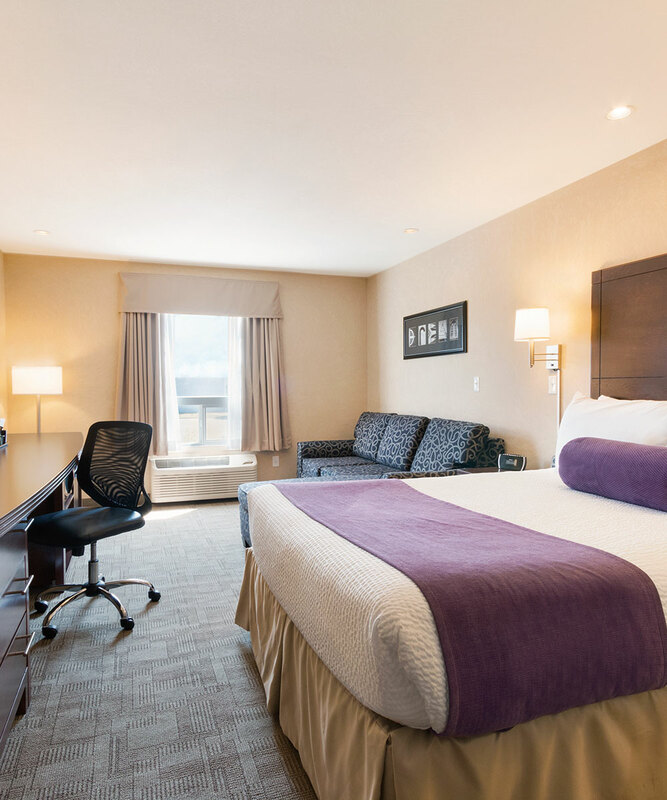 In-suite amenities include a coffee maker, iron, ironing board, hairdryer and free Wi-Fi. 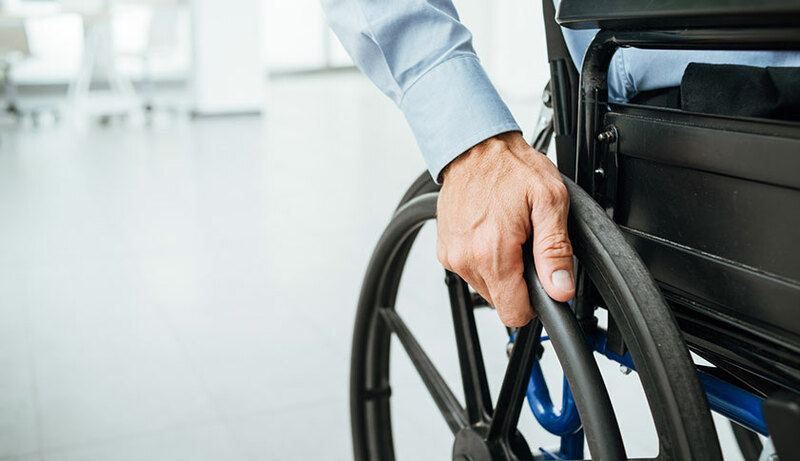 Several room options are wheelchair accessible and all rooms have elevator access. Please call us directly at 403-580-3297 and we can help you decide which room will best fit your needs.